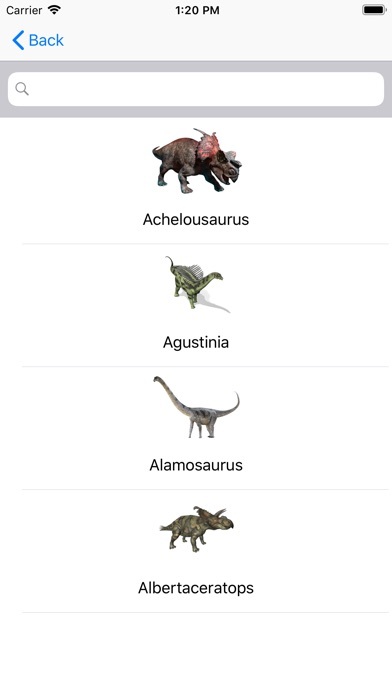 The app has short descriptions for 87 most common dinos and ancient reptiles. 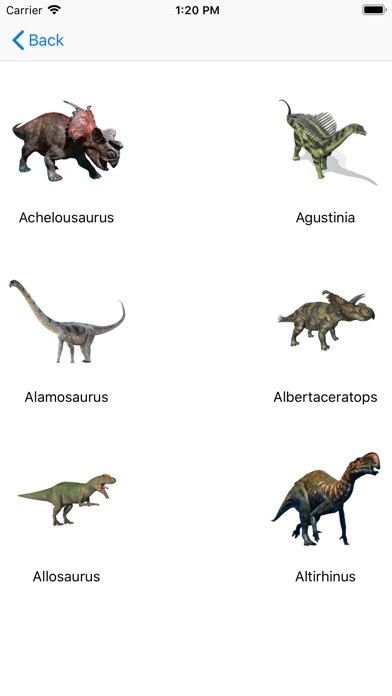 Each dinosaurs has a short description supported by a colorful picture. 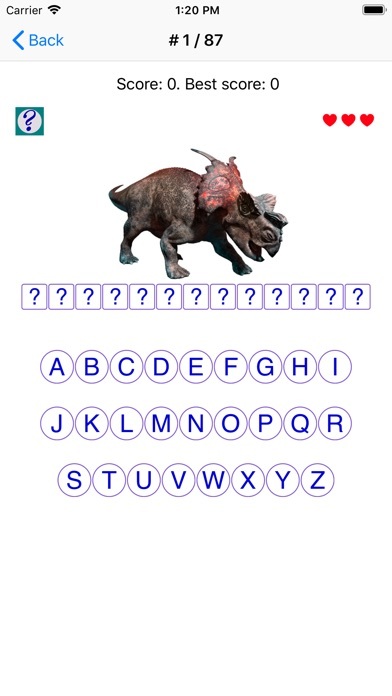 The name of each species is pronounced for your convenience. You can use this app as a quick reference. You also can check your memory by taking a quiz or spelling the lengthy names of dinosaurs species. 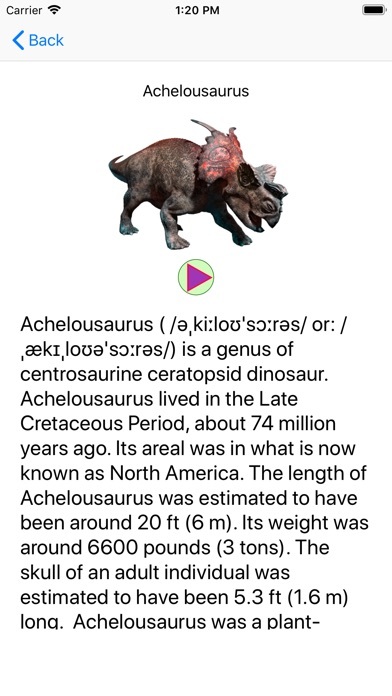 Please enjoy the app!